ATTF confirms Quadri, Meshref for ITTF World Cups – Royal Times of Nigeria. Minister of Youth and Sports, Barrister Solomon Dalung has commended Nigeria’s number one Table Tennis player, Aruna Quadri for booking a ticket as Africa’s sole representative to the ITTF World Cup. 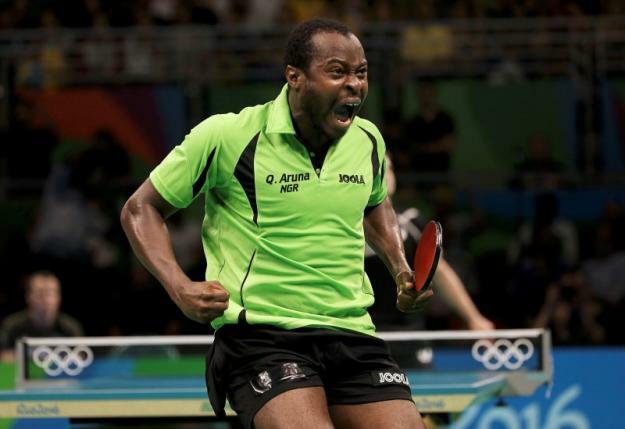 The African Table Tennis Federation (ATTF) has formally confirmed Nigeria’s Aruna Quadri and Egypt’s Dina Meshref as Africa’s representatives in this year’s ITTF Men and Women World Cups holding later in the year. According to the ATTF President, Khaled El-Salhy, the names of the players have been forwarded to ITTF for their listing among the array of stars expected to the compete in the lucrative World Cups. Quadri will be making his second consecutive appearance at the World Cup being his fourth qualification for the championship having features in 2009, 2014, 2016 and hopefully this year. Unlike Quadri, Meshref is making her fourth consecutive appearance having being representing Africa in the competitions since 2014 till date. Quadri and Meshref qualified for this year’s edition following their victory at the 2017 ITTF Africa Cup in Agadir, Morocco. An excited Meshref described the World Cup as a ‘special tournament’. The African duo will join other players from the rest of the world in the money-spinning tournaments holding in Belgium and Canada respectively.